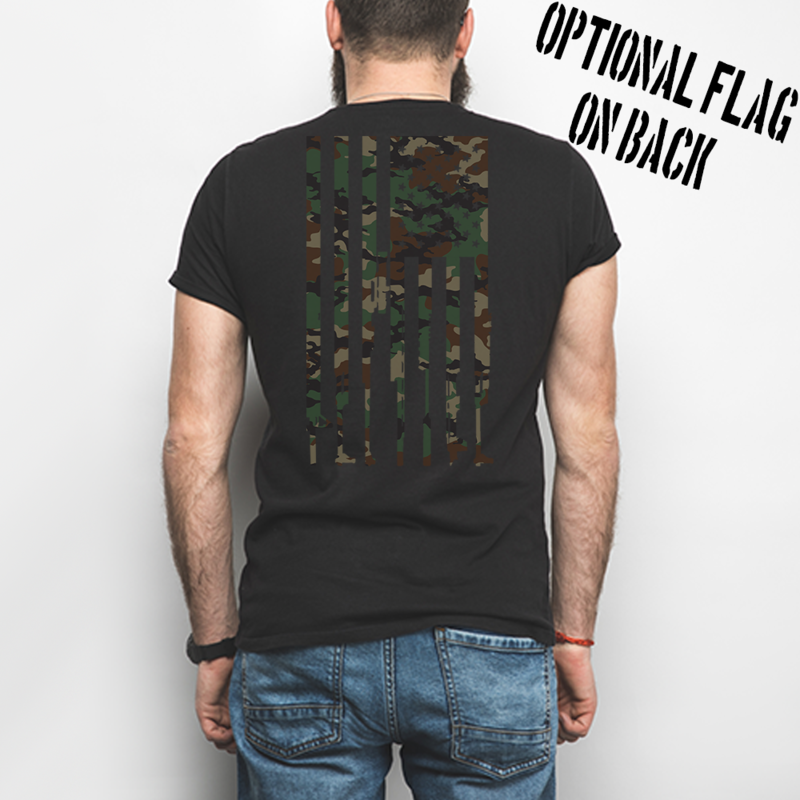 Want the flag on back? Do you like black shirts? 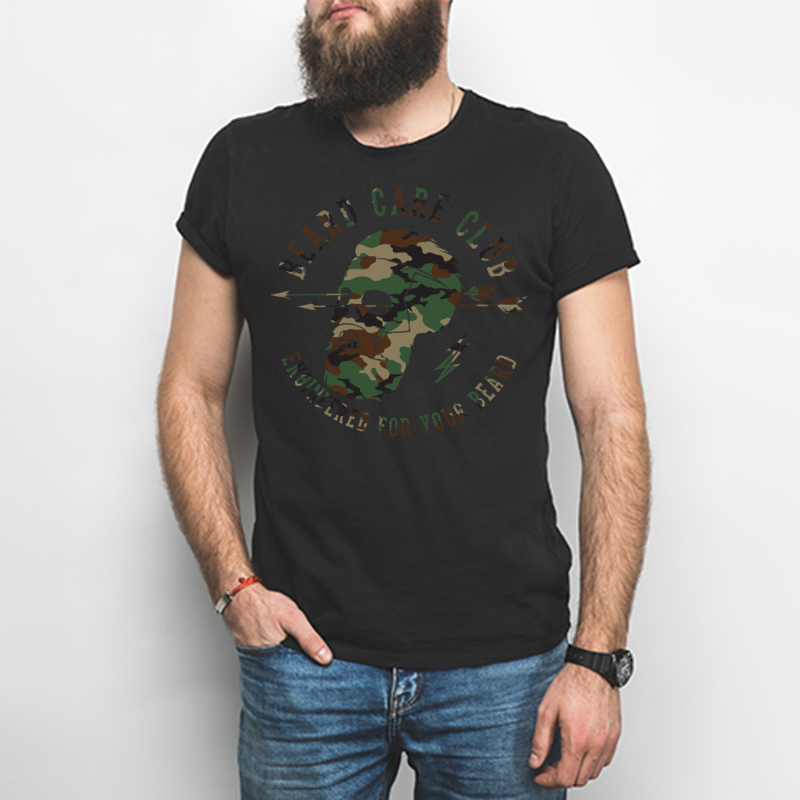 Do you like camo? Do you like guns (gun flag is optional)? Well then, we have the shirt just for you! 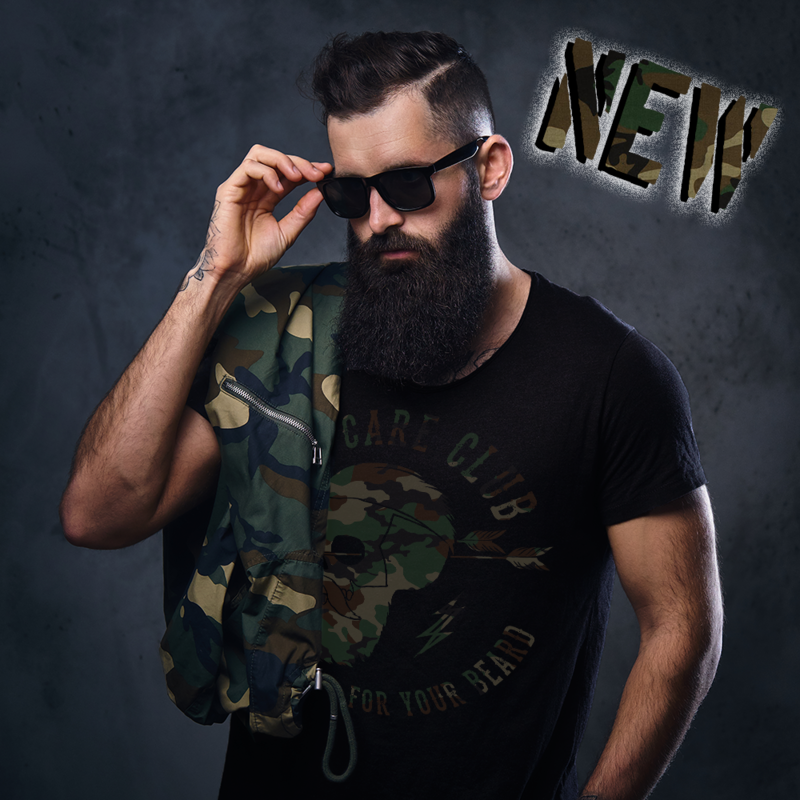 This is our new Beard Care Club Grooming Company, preshrunk, cotton, Next Level Apparel T-Shirt, and it fits oh so lovely and soft! Has an optional flag made of camo guns on the back. If firearms offend you, simply don't add it to the shirt. Easy peasy now we're all skipping through life happy as can be!